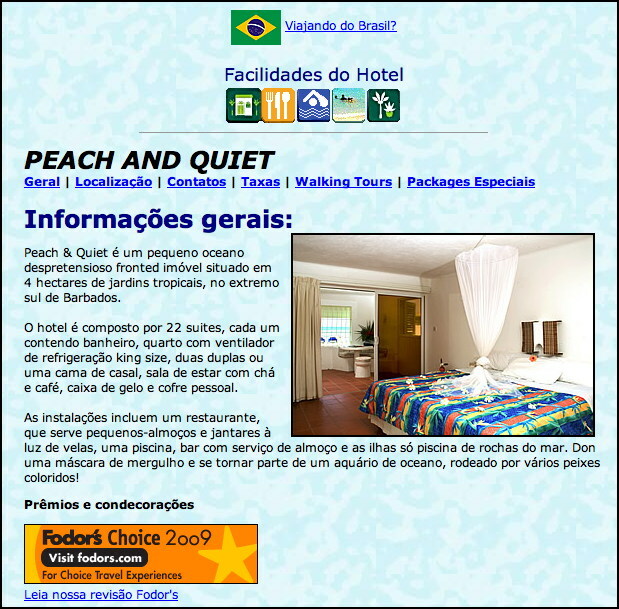 Peach and Quiet Hotel welcomes first guests from new Brazil and Dallas flights! Over the last few days our Peach and Quiet Hotel welcomed our first guests arriving on the GOL/Varig flight from Sao Paulo and the new non-stop service AA514 from Dallas. These bookings have made up in part the room nights lost by some of our British visitors, who were unable to travel due to the horrendous weather conditions they have been forced to endure over the last couple of weeks. The lack of Portuguese language capability at the websites of the Barbados Tourism Authority and various hotels and tourism attractions has become even more relevant since Industry Minister George Hutson announced in September 2009 that Barbados should expand its tourism and investment marketing to Latin America. Almost six months later in February 2010, the Barbados government announced that GOL Airlines of Brazil would be making scheduled flights to Barbados. 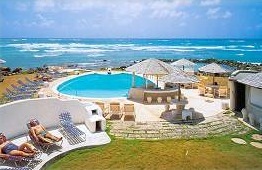 Frankly, we on the rock should be delighted to gain access to such a large and close market. Yup… we have access to a quarter of a billion people today that we didn’t have access to a couple of months ago. So did the Barbados Tourism Authority put up a welcome page for Brazilian visitors in their native Portuguese language? You mek sport, my friend! That would take vision, leadership and (worst of all) work! We’ve been begging BTA to put up a Portuguese welcome page since September. Adrian Loveridge and other small hotel owners have been asking the same thing of BTA for ten years. The result: NADA. Once again a little guy just does it while the Barbados Tourism Authority queries their staff about whether they should schedule a meeting to discuss if they should call a meeting to discuss if it might be feasible to conduct a study to ascertain if a consultant should be hired to recommend whether a meeting should be called to hire a consultant to investigate the feasibility of translating the Barbados Tourism Authority website into other languages and what languages should be considered. Phase two would be to convene a meeting to decide if the consultant’s contract should be extended to explore the hiring of a Portuguese translator, and whether it should be put to tender. You think we’re joking about all of that. Trust us – we’re not.